With BackWPup Pro, you can save your WordPress backup to Google Drive. Google Drive, Google’s well-known online repository, is one of BackWPup Pro’s most popular backup destinations. 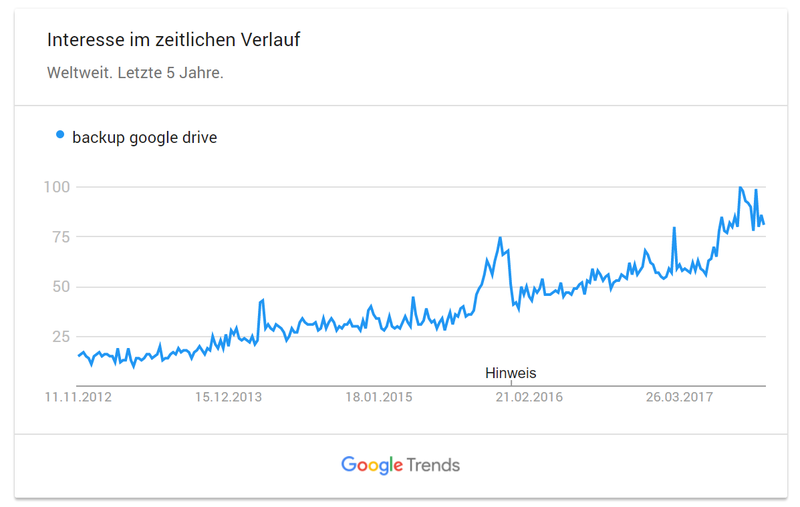 The following Google trends graphic shows clearly that Google Drive as backup platform becomes more and more popular within the last years and that the popularity is growing still. 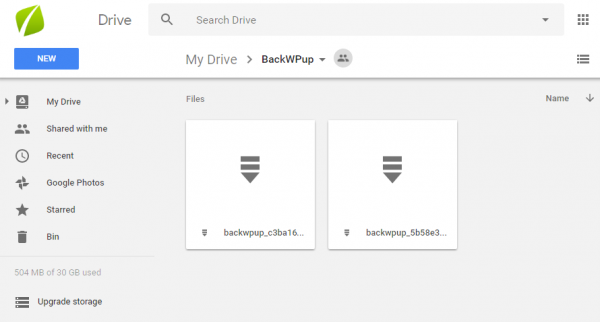 Buy BackWPup Pro now and activate the Google Drive feature for your WordPress backups. surely, you use other Google products such as Gmail, Google Docs, Google Photos oder Hangouts privatly or G Suite professionally. You see, all is perfectly linked! Select Google Drive as backup destination while creating a backup order. Connect BackWPup with Google Drive. And finally, your WordPress backups land up where you want them most: in your Google Drive. BackWPup has many options in order to save your WordPress website. Decide for yourself, what you save, when and where you save it. There is something to suit (nearly) all tastes. You can find a complete overview about all features on BackWPup or as comparison between BackWPup Pro and Free in the BackWPup documentation. You miss a feature? Use our contact form to tell what you want.